Home » Reviews » Books » Travel » Don’t Wait to Travel to Your \’Bucket List\’ Countries. They\’re Welcoming You Today, But May Not Be Tomorrow. I wrote those words in 2006, in Mali, Africa. My point is undoubtedly obvious. Don’t wait. Travel now to those remote destinations you have on your bucket list because in this ever-changing world, they may not be in a position to welcome you tomorrow. One of my favorite overall destinations is Africa. Often, because of a news article, people will ask me “Is it safe? 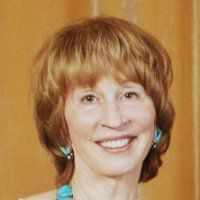 I just read about uprisings in …” Visiting an African country is not like traveling through the U.S. We are a big country. But Africa is a HUGE continent comprised of approximately 55 countries. (The number varies depending on the criteria used.) It is over 3 times the size of the United States and bigger than the U.S., China, India, Europe and Japan combined. Not surprisingly therefore, violence in one African nation does not mean that travel to other African countries is unsafe. To date, I have traveled to thirteen African nations and hope to get to many others. One of my favorite countries is Namibia. It’s a very safe country that many Americans are unfamiliar with, thus it is not over-run with tourists like some other safari destinations. It has amazing animal life – I saw my first leopard there, having never sighted one in trips to Kenya and Tanzania. Its topography is incredible – towering red sand dunes in the world’s oldest desert. 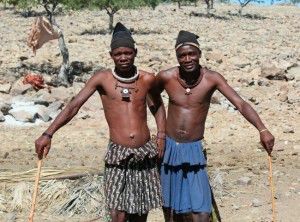 And, a visit to an indigenous Himba tribe is an experience unlike any other. Start ticking off those destinations that are on your bucket list. It’s time. I wrote those words in 2006 in Mali, Africa. One of my favorite overall destinations is Africa. Often, because of a news article, people will ask me “Is it safe? I just read about uprisings in …” Visiting an African country is not like travelling through the U.S. We are a big country. Africa is a HUGE continent comprised of approximately 55 countries. (The number varies depending on the criteria used.) It is over 3 times the size of the United States and bigger than the U.S., China, India, Europe and Japan combined. Not surprisingly therefore, violence in one African nation does not mean that travel to other African countries is unsafe. To date, I have traveled to thirteen African nations and hope to get to many others. One of my favorite countries is Namibia. It’s a very safe country that many Americans are unfamiliar with, thus it is not over-run with tourists like some other safari destinations. It has amazing animal life – I saw my first leopard there, having never sighted one in trips to Kenya and Tanzania. Its topography is incredible – towering red sand dunes in the world’s oldest desert. 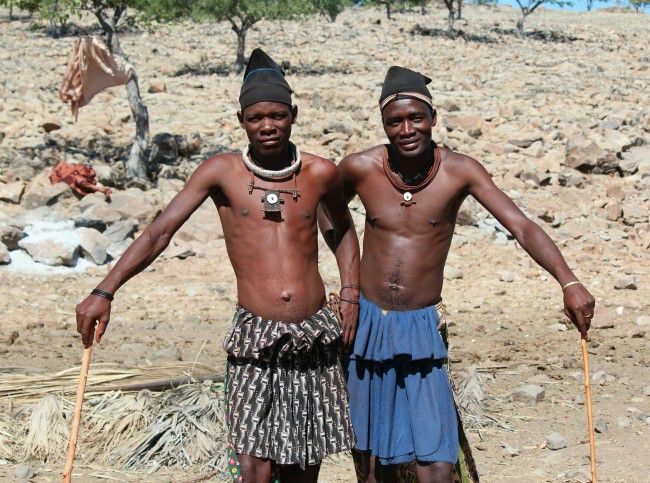 And, a visit to an indigenous Himba tribe is an experience unlike any other.